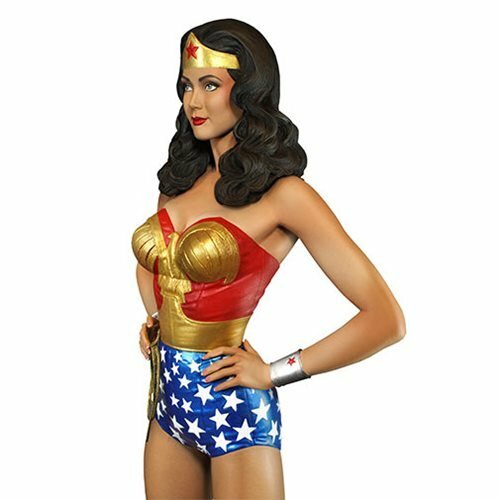 Lynda Carter as seen in Season 1 of the Wonder Woman TV series. 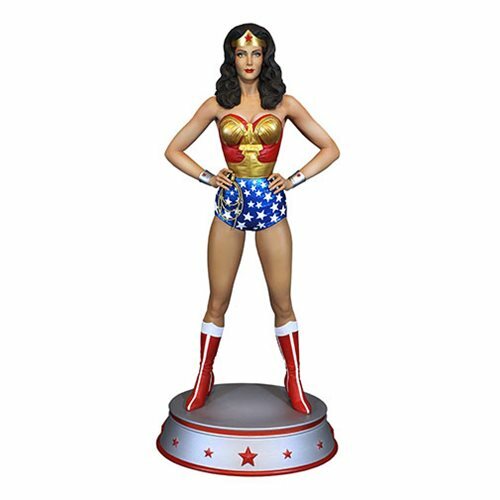 Made of polyresin, she measures about 13 1/2-inches tall. 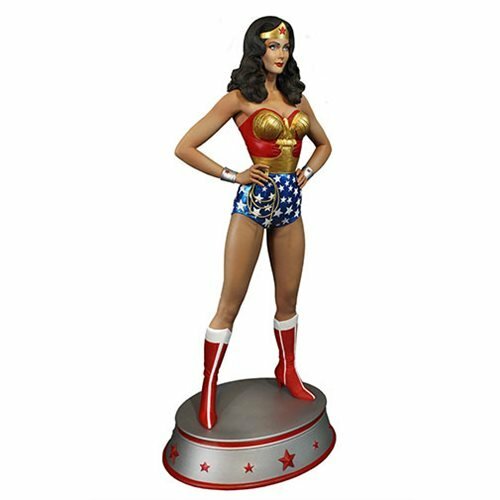 Sculpted by Trevor Grove and Matt Black. 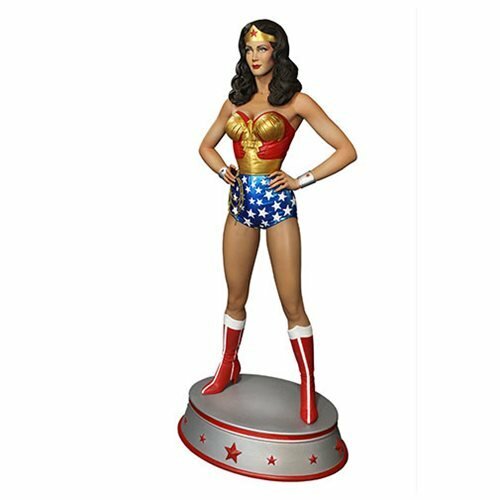 Sculpted by Trevor Grove and Matt Black, this beautiful Wonder Woman Season 1 Lynda Carter Maquette Statue features Lynda Carter as she was seen in Season 1 of the Wonder Woman TV series in 1975. 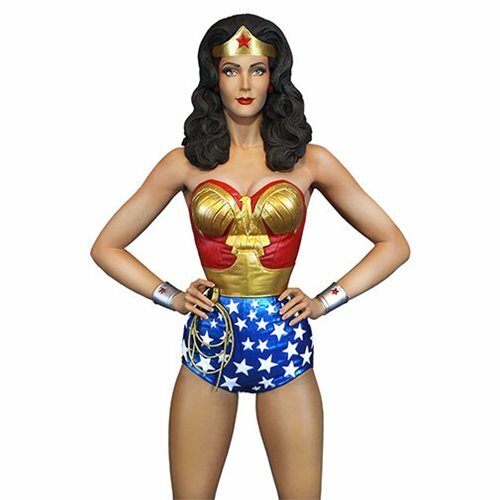 Made of polyresin, Wonder Woman stands about 13 1/2-inches tall, with her hands at her hips and her Lasso of Truth at the ready.